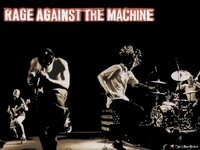 Rage Against the Machine, also known as RATM, is an American rap metal band from Los Angeles, California. Formed in 1991, the group consists of rapper/vocalist Zack de la Rocha, bassist and backing vocalist Tim Commerford, guitarist Tom Morello and drummer Brad Wilk. They draw inspiration from early heavy metal instrumentation, as well as rap acts such as Afrika Bambaataa, Public Enemy, the Beastie Boys and Dutch crossover band Urban Dance Squad. 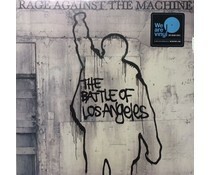 Rage Against the Machine is best known for its leftist political views, which are expressed in many of its songs. As of 2010, they have sold over 16 million records worldwide.